Why should rich Indian kids consider a career in History? By History, I am specifically referring to European History. Here I am not discriminating against the poorer sections of the society as I myself belong to the lower middle class. But I have explained why I am specifically targeting the richer section below. Why only kids, since there is no barrier stopping adults from studying history? This needs a little understanding of why I am writing this article which is given in the following paragraphs. Indians have been in contact with modern Europeans since the beginning of the modern age. Indians are mostly hard working people and there is no reason to think that Indians are less intelligent than others- as Indians have won Nobel prizes in everything from Literature to Physics to Economics. But have you ever thought why till now we have no Indian historian of repute who specialises in European History. By repute I mean teaching European History in top 200 universities of the world. Is history such a difficult subject that we are not able to comprehend it? No, Indians can be amazing historians- just look at the works of Irfan Habib, D.N. Jha or Sanjay Subrahmaniam to name a few. The only European History research that Indian historians “of repute” engage in are topics which have to be studied in relation to India, for example- European colonialism and its effects on India. Or is it the case that people of one nation are usually not interested in the history of another nation? No, that is not the case either- there are numerous examples of world renowned American, European and even Japanese experts teaching Indian History in the best universities of the world. Before moving ahead let me first answer the question- why European history specifically? The answer is quite simple. The European culture and ideas are the dominant ideas in the world today. Democracy, sovereignty of nations, secularism, socialism, fascism, freedom of expression, parliament houses for elected representatives, modern banks, separation of church and state, modern education are all originally European ideas. You might think the USA is the most powerful country in the world today, but consider the huge inequality in the US and the fact that the most powerful people in the US are descendants of European migrants and that they know it and they want to preserve this heritage. Also, there are a lot of things that we discuss in our country everyday which are often out of context due to our ignorance of European history. For example- that freedom of speech and expression emerged out of freedom of religion (check my essay on intolerance here https://monishborah.wordpress.com/2015/12/05/the-autumn-of-intolerance-in-india-a-global-contemporary-historical-analysis/ or do your own preliminary research through the internet). Also, due to the constant taunting of the developed Western countries that Indians are bad in this and that thing we should not try to mimic them. For example, Europeans did not use to employ women in the 17th and 18th century and when they did, it was often in non-remunerative or unorganised sectors like we do currently in India. But how do you think the Europeans “matured” into providing mass employment to women in the organised sector? Child labour! Yes, young girls used to work to support their families often in 12 hour shifts while their brothers studied and trained. Once trained their brothers would get better paying jobs and conclude that women are not as good workers as them and this laid the grounds for the income inequality between men and women in industrial nations which they have not yet been able to solve. How many times have you heard European leaders admitting to this? Now, coming back to the problem at hand, as to why there are no Indian of repute who has specialised in European history- there are several reasons for it and it is not possible to cover them all sufficiently in a small article like ths but I have attempted to list a few in the following few paragraphs. It may be because the Europeans started to study Indian history systematically earlier than the Indians and they were backed by their institutions back home, if not for anything then for administering India. India never faced such “compulsions”. It might be because it was “cheaper” to learn about India. How much will a foreign student have to pay to do a master’s degree or a diploma on Indian culture and Heritage in an Indian university in comparison to an Indian doing a similar degree in a Western University? This qualification is then used as a tool to get admitted to some of the best universities in the world. Now, imagine someone doing such a degree 50 years back when living cost in India would have been far cheaper and Indians going to the West that much more difficult, and going back to his or her home country and teaching his/her countrymen about Indian history, then some of his/her students getting interested and then they teaching their own students and henceforth starting a tradition of research in Indian history. There are no Indian scholarships which supports specifically studying history of Europe. History scholars are mostly forced to compete with other more “market friendly” and “strategically important” fields in their hunt for scholarships. What do you think your chances are if your subject is something historically interesting like “Evolution of God in Reformation Period Art in Europe” against someone who wants to pursue his doctorate in hydraulics? Zero to negative. Finally, the selectors in university admissions boards are more likely to admit a candidate who has done their undergraduate studies from a world renowned Western university to their PhD program focusing on India than an Indian student from an unknown Indian college or university to their European history programme. Even the best Indian universities or colleges say for example St. Stephens College or Loyola College cannot hold a candle up to undergraduate programs in Harvard College or Oxford University in terms of reputation. The issue here is trust. Will they trust you- a person from a foreign land who studied in an unheard of college or their own students? So, Indians will have to be better than their counterparts to pursue research in European History in the best Western Universities. This trust issue often results in underestimation of the capacities of budding historians from India. So the issue that I am talking about basically is one of justice, where Indians are not getting access to study European History, because of structural and institutional limitations at home and abroad. This level of discrimination where there is not even one world renowned Indian expert in European History is not seem in fields such as nuclear physics and hydraulic engineering two areas which are considered to be of strategic importance by countries which first acquired them. But in this article I am mostly trying to suggest a solution to the above stated problem because I believe that I have found a way to break this system but it requires three qualifying characteristics- interest in history, good academic record and being rich. This is like the situation in the movie Gattaca (http://www.imdb.com/title/tt0119177/?ref_=nv_sr_1) where the poor are simply incapable of competing with the rich. This article covers the ways to successfully complete the first few steps in becoming an expert in European History, i.e. how to get into a European History PhD program in some the best universities of the world. UK still houses some of the best universities in the world and they still have some of the best experts in European History. But the humanities field there is cash starved and they have very little resources to support home students and no resources to support non-EU students to pursue European studies. Other places in Europe like France, Germany and Scandinavian countries- have free and aided education- so there is demand from their domestic students to study European History and the trust factor that I mentioned above comes to play- so it is hard to get into a European History programme in other European countries. Due to the reason that PhD studies need to be fully funded and the same trust issues, it is also difficult to get into US universities to do a research degree in European History for Indian students. So, the key is – trying to get into the really good European History PhD programs in the best British Universities, and here is how you do it- first, get an undergraduate degree from India. An undergraduate degree from a good Indian college with honours in History or with a Major in History will obviously be mostly focus on Indian history. But, undergraduate degrees are the same worldwide and the level of expertise in History one acquires at the end of the undergraduate studies usually depends upon the student. Of course if you are in some of the world’s best colleges and universities doing your undergraduate studies- it is easier to come into contact with some of the best and latest ideas and thoughts in the field of history through the professors or occasional speakers in their institutions. But most of these ideas and thoughts could be accessed by any student from anywhere who diligently reads a lot of history books or follows a few electronic journals. Undergraduate studies in history is all about expanding of your horizons in your quest for historical knowledge and learning the different ways to interpret history. As an Indian, you are probably already fluent in English, but learning and becoming fluent in another European language will go a long way in aiding your ambitions for a career in European History. Learning a language is not limited to learning the grammar, its words and becoming fluent in it. One also attains an understanding about the culture and the philosophy of the society that uses that language. This will greatly help you in your future research career. Of course you can do all this if you do an undergraduate course with a major in History in a foreign university – but here I am trying to enlighten you on a path with minimum expenses because let us be clear “History” is not as remunerative as a course in Finance or Business Administration. One must truly love this subject and be ready to give up some of the comforts in life and learn to be contented. So, this presents one with a “two faced” obstacle- an Indian person in order to become a world renowned expert in European History will have to give up his or her former extravagant lifestyle and settle for a humbler life once one decides to build a career out of history. This is probably one more reason why there are no good Indian experts in European History. After your undergraduate studies are over try to get an admission in a good UK university for a master’s degree which will help you to specialise in some aspects of European history. Now there are some things that you have to know about a UK master’s degree. Its full time duration is one year- this makes it invalid in India, so if you have to come back to India after completing your master’s degree in the UK, that degree will be academically or professionally useless- you will need to get another master’s degree from an Indian university- like I am doing now- from IGNOU. You cannot mention that master’s degree while applying for jobs or even while applying for the NET exam. So, why do a master’s degree in the UK at the first place? Master’s degree lays down your roots for the future. The master’s degree is the first time in someone’s academic career that they are required to invest substantially in a subject/field of their choice and write up a research paper which is of significant importance in their final academic assessment. 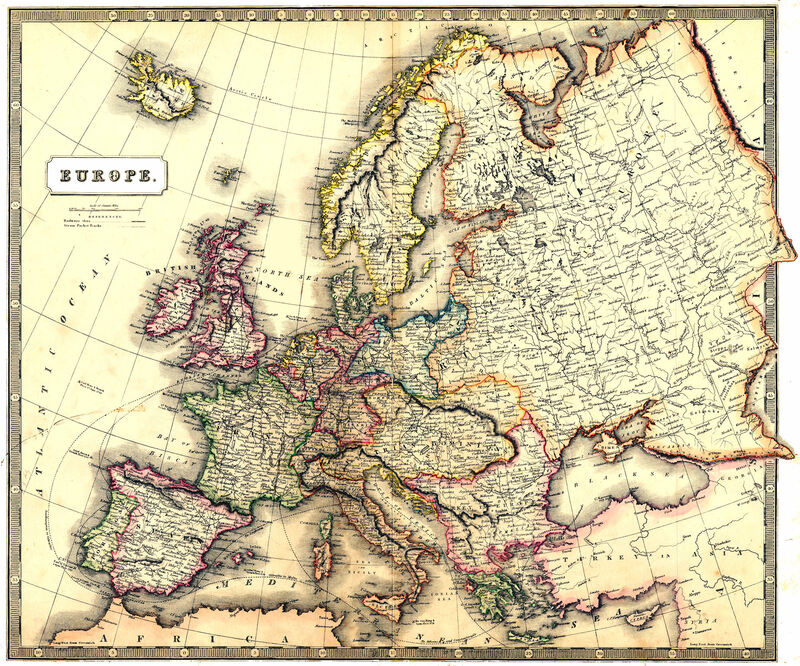 This opportunity can be used by you to show everyone your depth of knowledge and understanding of European History. This paper can also play a significant role in your future admissions into further research studies. Also through a master’s degree you will come to know about how the research field in your subject is organised- who are the best professors in your fields, where they are, whose views you like most and under whose supervision you would love to work further. So, the benefits of doing a master’s degree are immense but the risks are too great for people from the middle class and below to take. 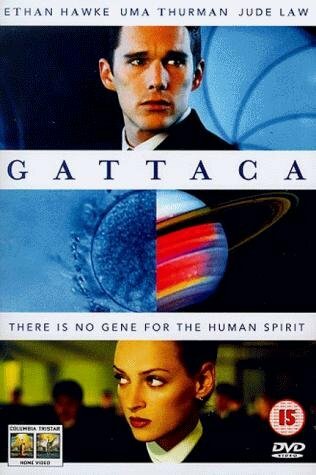 Hence, as I have said before, currently with regards to European History we are dealing with a Gattaca like situation where only the rich are able to achieve certain goals. How to get into a good master’s program in History in the UK? First of all, you need a good academic record especially in the undergraduate level. Good marks shows that you can take the pressures of academia and still perform well. You will also need good references and a good score in an English test like IELTS. Also some UK universities have started referring to the universities ranking that are published by the India Today magazine. It would be preferable if you get your UG degree from amongst the top colleges in the country in humanities. What to do after you get a master’s degree? Try to get more than 70% of the total marks in your master’s degree. It will need a lot of hard work, but only hard work will not suffice. Unfortunately there is a similarity between professors all around the globe- they like flattery. They are more likely to give more marks to students who approve of their stand point and defend it in their answers in their examinations than to students who contradict them. Keep this in mind and then strategize. Getting over 70% will also greatly help you in getting admissions in the best research programs. But even if you get over 60% I think you will be alright. In order to get admitted to a PhD program in the UK you will need to decide on a research topic, do some research on it, settle on a research question, prepare a research proposal, contact appropriate professors with this proposal and then apply to different PhD programs. This whole process takes a very long time and is very complicated. You will need to take help from anyone who is willing to help but most crucially from your professors. Now here is the real reason why I have targeted the rich in this article. If you have a master’s degree from a good UK university, scored 60-70% in your final master’s degree exam, got good references from your professors you will have little problem in getting into a European History PhD program in the UK. But this offer of study will most certainly not come with financial aid. 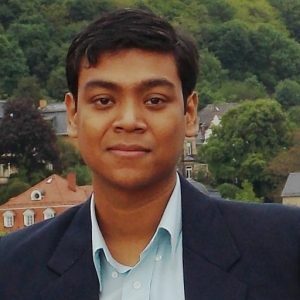 It is next to impossible for an Indian student to get funding in a European History PhD program. This has been the main bottleneck which has prevented Indians from specialising in European History from the best institutions in the world. The doctorate degree which lays down the path for researcher’s future career growth is being blocked by monetary constraints. These constrains are occasionally opened if the researcher is ready to dilute his research topic from a completely European subject to something which is mostly an Indian topic with a few references to European History. This should not be happening as similar limitations are not put in the path of their own students who have excelled independently in both European History and Indian history. But here is a chance for you to reverse this trend as it is now possible to get into a European History research program in the best universities of the UK where the only thing lacking is money. I have tried for nearly 5 years and failed to go anywhere and now I have abandoned that path because “time does not stand still”. More people like me will keep away or keep abandoning their ambitions to study European History in the future unless someone from the growing rich class in India stands up and decide to break the glass ceiling for all Indians. But I do realise what I am asking here. I am telling some rich kid to give up his or her privileged life for a humble one for the love of history. This is probably unethical on my part and most definitely the anti-thesis of why one engages with higher education- for improving one’s living standards. But the world is built on hope, isn’t it?